Product #60743 | SKU ESR-T13-V | 0.0 (no ratings yet) Thanks for your rating! Provides a high-quality aluminium, CNC-milled protective armour for your camera that has several ¼”-20 and ⅜”-16 mounting points. 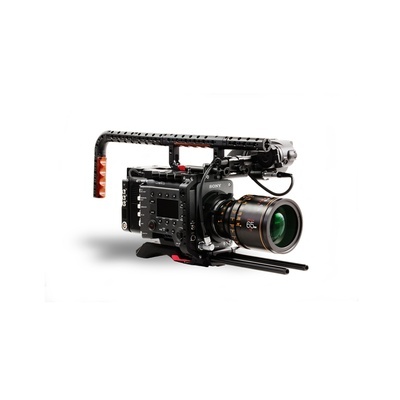 Arm your camera with this Tilta Camera Cage with V-Mount Battery Plate specifically designed for the Sony Venice. It provides a high-quality aluminium, CNC-milled protective armour for your camera that has several ¼”-20 and ⅜”-16 mounting points for attaching accessories.